Bus rapid transit has revolutionized mass transit in Brazil. 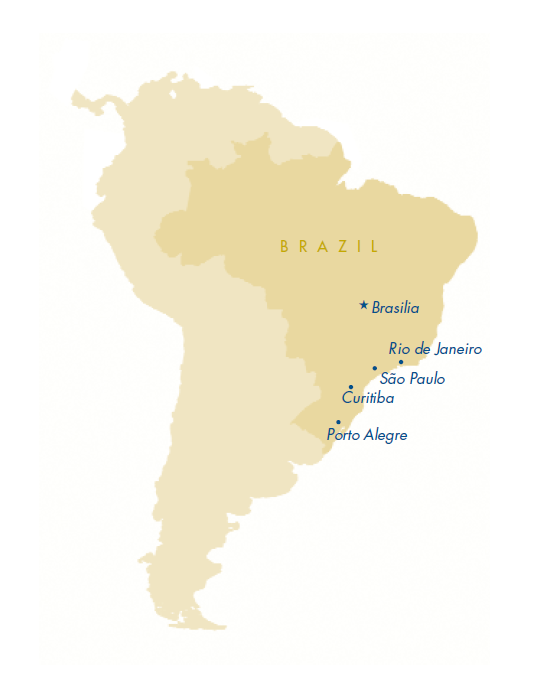 Over sixty million bus trips are made daily in Brazil, which has an urban population of roughly 110 million people. Compare that to the United States, where only about twenty million bus trips are made each day in a country whose urban population is over twice as large. This is to say: buses are relatively unimportant in the United States, but very important in Brazil. There, the national car ownership rate is about 23 per 100 households, compared to more than 92 per 100 households in the US. 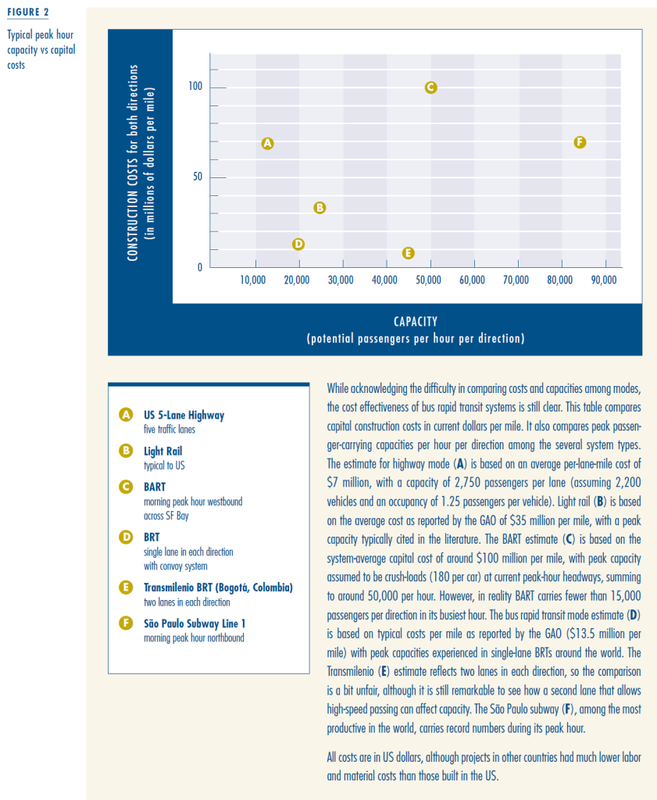 When compared to large cities worldwide, Brazil’s intensity of bus use stands out even more. 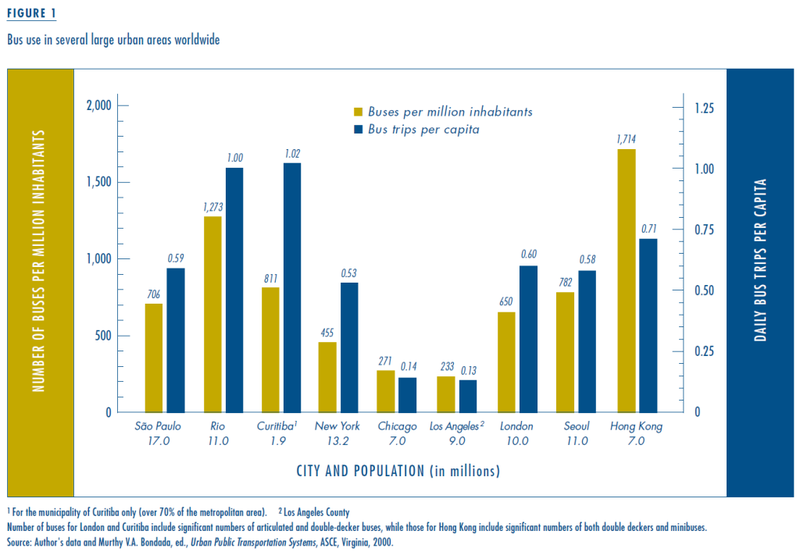 Figure 1 summarizes bus use in some of the largest cities in the world. Several of these cities have extensive subway systems, which reduces their dependence on buses. This makes the experiences of Rio and São Paulo even more impressive, because they also have subway systems, though small. Nevertheless, they are able to supply most of their public transit needs with buses. In Rio, the bus mode share of motorized trips is over eighty percent, and cars make only around fifteen percent of total trips. Only Hong Kong comes close to these numbers with bus trips at around sixty percent of motorized trips. Indeed, the number of bus trips made each day in São Paulo and Rio together roughly equal that of the entire United States, with ten times the population of the two cities. 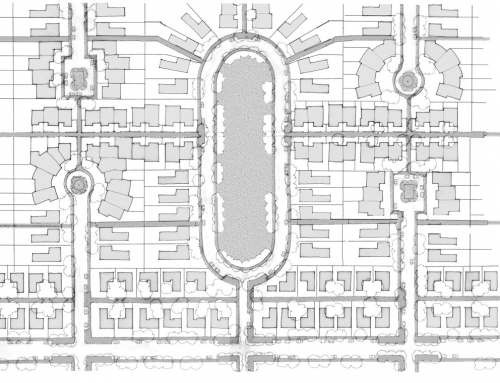 By now nearly every transit buff and urban planner the world over must have heard of Curitiba (pronounced: kur-i-chee-ba), the medium-sized, industrial city in southern Brazil. Although Curitiba is one of Brazil’s wealthiest cities and has the second highest car-ownership rate in Brazil (about 55 per hundred households), it also has an extremely high rate of public transit use (roughly one trip per day per capita). The city’s gasoline consumption per capita is also among the lowest of any large city in Brazil. Its transit system combines exclusive rights-of-way for bus corridors, express and skip-stop services, articulated buses, off-board fare payment, tube stations with station-level, multiple-side-door vehicle boarding, and land use zoning coordinated with high-capacity bus corridors. All this provides efficient, profitable, and popular public transit. It has made Curitiba the gold standard in public transportation and a favorite among New Urbanists for the past two decades. Curitiba began its transportation projects in the late 1960s, when the city’s population was a mere 400,000. In 1971, Mayor Jaime Lerner closed several blocks in the center of the city to automobile traffic and began constructing the first exclusive bus corridor, now called Bus Rapid Transit (BRT). This involves bus-only lanes that allow buses to travel efficiently along their routes without having to compete with other traffic. The bus routes also comprise the axes of the city’s high-rise, high-density residential and commercial developments which parallel the busways as components of a unified urban development plan. Curitiba has shown the world how to plan land use and transportation systems as integral parts of the larger urban system. The first bus corridor became the spine of a larger hierarchical system of express, trunk-line, and feeder-bus networks, with thirteen transfer stations throughout the city, completed in 1983. In 1992, the city introduced its now-famous tube stations with off-board fare payment, floor-level boarding, and articulated buses on the main corridors. Currently, there are 72 kilometers of exclusive bus corridor operating in the city, with plans for expansion. The pedestrian-only areas have grown and now include 24-hour open-air commercial areas with bars and restaurants. Other examples of foresighted Brazilian cities include São Paulo, also an innovator in bus corridors with over seventy kilometers currently in operation, an additional thirty under construction, and over a hundred planned over the next ten years. São Paulo’s most successful bus corridor, the Santo Amaro corridor, is only fourteen kilometers long but carries over 200,000 passengers per day, and its 33-kilometer-long EMTU corridor carries 210,000 trips per day. Together, these two bus corridors carry thirty percent more passengers every day than the San Francisco Bay Area’s BART system, which is over 160 kilometers long. The concept of convoying a set of buses together into a dedicated lane was developed in the late 1970s for bus corridors in São Paulo and Porto Alegre. The convoy becomes a virtual train, with each car having a different destination. At the end of the joint corridor, the buses separate on to different trajectories. Bus stops are long to accommodate the complete convoy, and passengers enter buses simultaneously. Because the buses follow each other, they waste no time jostling for space in traffic and at bus stops. Signs and markings make it easy for passengers to know where to wait, so boarding happens quickly. These characteristics also make it possible to schedule frequent buses and frequent stops, which increase convenience. 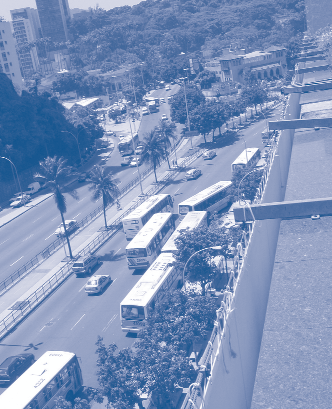 Convoys greatly increase the capacities of single-lane dedicated bus corridors in the city of Porto Alegre; the most successful is credited with carrying over 20,000 passengers per lane per hour at peak capacity. Porto Alegre has also developed an integrated paratransit system. In the mid-1970s, the city began developing limited-stop express bus services to wealthier areas in an effort to curb growing car use for work trips. This service met with little success owing to high costs and limited demand. The planners, however, still wanted to cater to these higher- income markets somehow; so, in early 1977, they created a service called Lotação, meaning shared taxi. This fixed-route service proved very popular, charging higher fares than buses but offering comfortable seats and faster service with fewer stops. At first, vehicle sizes were limited to four-seat sedans, but by 1980, the standard was opened to seventeen-seat vans; finally, in 1994, 21-seat microbuses were allowed. Current legislation links bus fares and Lotação fares. A majority of users are female (65 percent), between ages 19 and 39 (57 percent), and upper income (55 percent). 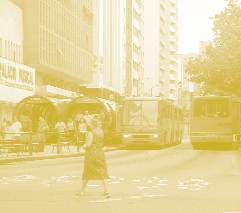 Over time, Lotação has become a successful and important part of the city’s transportation system, with very high levels of service, including such amenities as air conditioning and on-board public cell phones. Low cost is a common theme in these various approaches. The mass-transit systems, instead of costing from $20 to $100 million per mile like light rail or subways, squeeze out similar peak passenger capacities for only around $5 million per mile. This is a consequence most obviously of necessity: Brazil is not a wealthy country; per capita GDP is around $5,000. It is also a result of hard work by several generations of talented and creative engineers and planners, and a period in the 1960s and 1970s of excellent central planning and support from federal transportation agencies. Furthermore—in contrast to the United States, which spends billions subsidizing public transportation systems using local, state, and federal funding programs—the urban bus industry in Brazil yields positive net revenues of over three billion dollars per year. Until the 1930s, most cities relied heavily on privately run streetcars, with buses running on peripheral routes. By the 1950s, urban areas had far outgrown the extensive streetcar networks, and the United States model combining rubber-tired vehicles and suburban rail systems became attractive to Brazilian leaders. National industrial development also placed great importance on automobile and bus manufacturing. As streetcars disappeared, small operators, like those existing today in much of the developing world, provided most bus services. 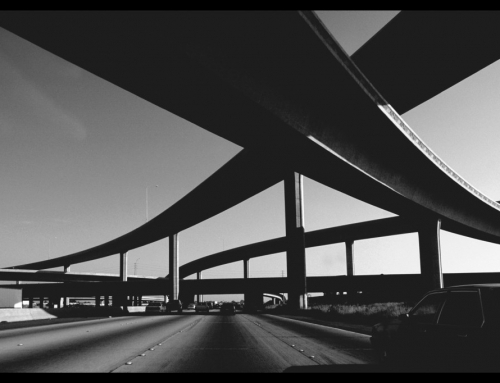 National road-building and transportation planning agencies formed, and road infrastructure became a primary component of national urbanization plans during the 1960s. Rising incomes from the Brazilian “economic miracle” merged with added road capacities to expand demand for urban mobility. 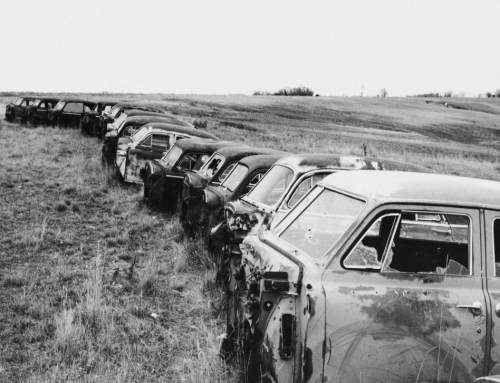 The oil-price shocks in the early and late 1970s, however, soon led to a general slowdown in the Brazilian economy, a fall in public transit demand, rising costs, and a period of crisis and bankruptcies for the fragile bus industry. In response, national policy promoted increased size and strength of bus companies and instituted minimum fleet size rules for companies that wanted to provide bus service. Mergers and conglomerations of smaller transit companies were encouraged. 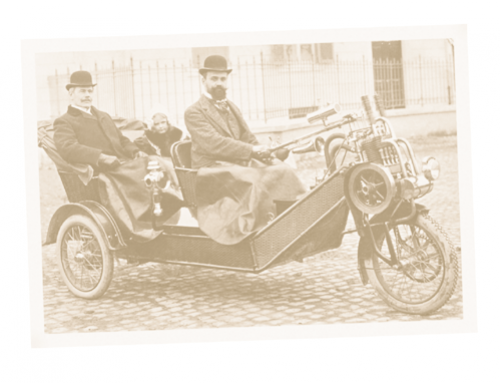 In the late ’70s, new national and state-level regulatory bodies promoted this new and more centralized model of urban transportation administration. Federal investments built bus corridors and terminals in many cities. 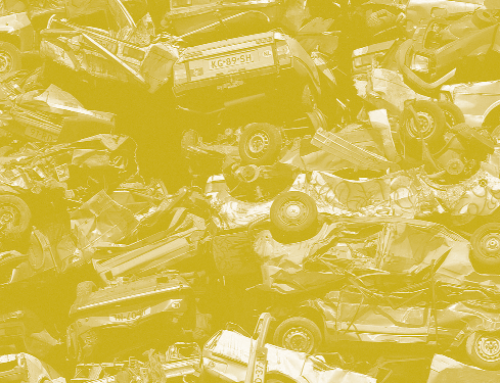 Minimum fleet sizes peaked in 1983 at around 100 vehicles per firm—though in some cities minimum fleet requirements reached 240 vehicles per firm, an astounding number considering that only ten years earlier most firms owned and operated only one vehicle. Today, several firms operate more than 400 buses each, and national-level holding companies often control groups of large firms. The largest group controls 1,350 buses, which, at roughly $70,000 per bus, equals close to a $100 million investment. Buses—and planning for buses—are thus very big business and a very powerful segment of the Brazilian economy. One of the largest bus conglomerates also owns GOL, one of Brazil’s major domestic airlines. Brazilian innovations with bus systems haven’t exactly been lost on the world. For more than ten years, Brazilian transportation engineers have been exporting their bus expertise to the rest of Latin America and the world. Several worldwide consulting operations based in Brazil specialize in bus system engineering, including Logit, Logitrans, and Synergia. Specifically, engineer Pedro Szasz developed the bus convoying schemes used in São Paulo and Porto Alegre and was director of traffic engineering for the city of São Paulo with its nearly five million cars. Recently, freelancing for Steer Davis Consulting, Szasz engineered the various local, skip-stop and express services that make up the now world-standard Transmilenio Bus Rapid Transit (BRT) system in Bogotá, Colombia. Engineer Paulo Custodio, who founded Logit and has worked on numerous major transportation projects in Brazil such as the São Paulo metro, was chief of project design for the Transmilenio BRT system. He is now involved in bus corridor projects in Jakarta, Indonesia, La Paz, Bolivia, and Mexico City. The success of the bus-based rapid transit projects in Brazil and other countries has piqued the interest of officials in the Federal Transit Administration. They started the Bus Rapid Transit Consortium and made official visits to Curitiba in 1999 and late 2000 to learn more. The cost effectiveness of the systems, combined with the budget crises in US cities, has made this interest urgent, and might even lead one to ask—what took so long? The FTA’s BRT Initiative program, created in 1999, provides small grants to agencies to explore BRT options. Over ten agencies have already received grants, including those in Boston, Charlotte, Cleveland, Washington D.C./Dulles Corridor, Honolulu, Miami, Pittsburgh, and San Jose. There are also other federal transportation funds available to build new bus rapid transit systems. As of late 2003, for example, fifteen cities with BRT project proposals have applied for funding under the New Starts program, and several have applied for Bus Capital funds. In 2004, the New Starts fund will award $331 million to a BRT project in Boston. One of the more notable demonstration projects is the first phase of Los Angeles’ BRT system, called “Metro Rapid.” While not including every element of the Brazilian systems, such as a fully segregated bus lane with off-board fare payment, the first Metro Rapid line was nevertheless successful. The line employs advanced compressed natural gas low-floor buses; it relies on new bus stops separate from local bus stops, priority at traffic signals, and an aggressive marketing scheme. In the Wilshire-Whittier corridor, travel time fell by 29 percent and ridership increased over 40 percent! Los Angeles’ plans for BRT have greatly expanded and will combine 23 corridors with various levels of priority treatment into a fairly comprehensive network. Unfortunately, most of the proposed BRT systems in North America don’t incorporate the complete network characteristics that make the systems in South America so effective. The most comprehensive current development is the Transmilenio BRT system in Bogotá, Colombia, which will form a network of 22 segregated bus corridors, each with two lanes in each direction, totaling 388 kilometers. An estimated daily ridership of five million will use the service at a total cost of only two billion dollars. The first line, only forty kilometers long, opened in late 2000 and carries 800,000 riders per day at a farebox recovery ratio of 1.2—that is, it is turning a profit! Quito, Ecuador, is also planning a major bus corridor network, and Taipei and several major cities in China have constructed initial phases of large systems as well. 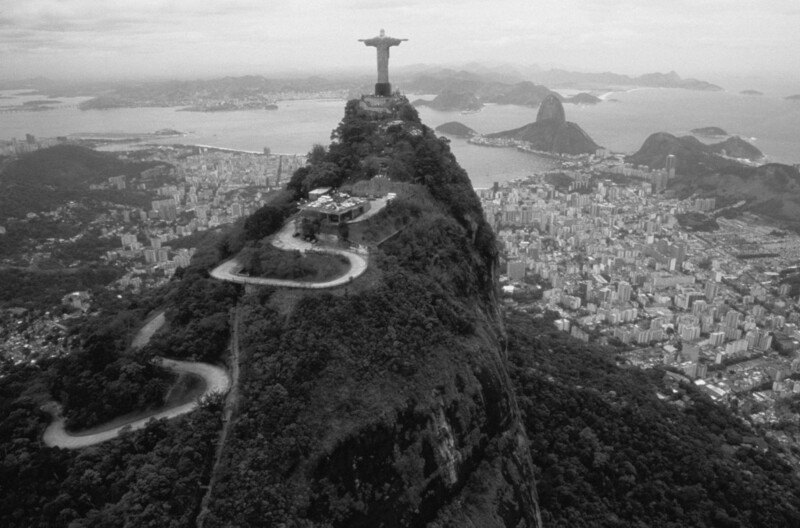 So, what will be around the next bend in Brazil’s bus journey? São Paulo’s current extensive bus system reorganization will add new BRT corridors, including one magnetic guided bus line due to be completed this year. Even Curitiba is undergoing a facelift, with projects planned throughout the city that will add additional capacities and increase travel speeds even more. And, as cities around the world follow Curitiba’s lead in bus planning, other cities within Brazil are beginning to take notice. 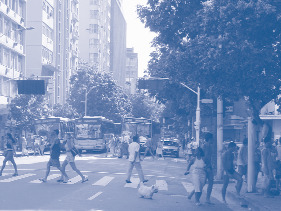 Rio de Janeiro, which until last year lacked even the most basic bus prioritization and has not even one kilometer of segregated bus corridor, is beginning bus prioritization projects on some corridors. On the technology side, Eletra, a Brazilian bus manufacturer specializing in electric motor-driven trolleybuses, is developing a fuel-cell hybrid bus, and has come to market with hybrid diesel-electric buses. Mass Transit: Bus Rapid Transit Shows Promise. United States General Accounting Office, GAO-01-984, September 17, 2001. Federal Transit Administration. Bus Rapid Transit Offers Communities a Flexible Mass Transit Option. United States General Accounting Office, GAO-03-729T, June 24, 2003. Bus Systems for the Future: Achieving Sustainable Transport Worldwide. International Energy Agency, Paris, 2002.